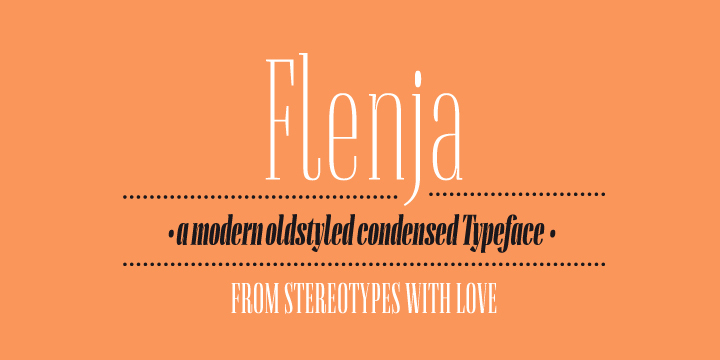 Flenja is a typeface created by Sascha Timplan and published by Stereotypes. This will work for headlines, for poster and magazine. Have fun! A font description published on Monday, December 17th, 2012 in Fonts, Stereotypes by Alexandra that has 2,662 views.